Unfortunately, the first apparent flaw emerges almost immediately. The events of the beginning of the film seem rushed. 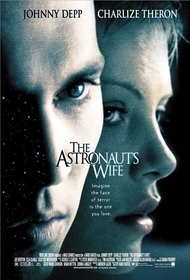 The astronaut, Spencer Armacost (Johnny Depp), and his wife, Jillian (Charlize Theron), are in bed one moment, the next minute Armacost is in space, and the moment after that she's learning that there's been a problem-"there was an explosion and we (NASA) lost contact with them for a couple minutes." If these were the only or the primary events of the film, that it would be rushed goes without saying. Instead, The Astronaut's Wife is about the problems that ensue in the "disaster's" aftermath. Still, since the space incident is the pivotal event that launches our story, it seems like their should be more of an emphasis on it-more of a show don't tell-especially since director (and writer) Rand Ravich commissioned special effects shots of the incident anyway; he isn't just telling instead of showing to stay within budget. The second and related near-mortal wound is that as good as the overall arc of the script is, the script fails in the details as often as it succeeds. The compressed and obliquely-oriented opening is one example. And too much of the dialogue is simply awful. Worse, Ravich commits the sin of appealing to pseudo-science explanations, ala Prince of Darkness, to try to up the believability quotient. For anyone who knows a smidgen about science, however, they are distracting instead. He should have worried about increasing the believability quotient in more basic scenes, such as the wives' reaction to the mishap. They hear that there's been an explosion, but when NASA officials tell them they lost contact with the astronauts, the wives recoil in horror at the realization that their husbands were alone for two minutes. Now, you first think, "why aren't they concerned about their husband's health with respect to the explosion?" They should be asking, "Did anyone's arm get blown off?" Apparently, NASA re-established contact with at least the spacecraft, if not the astronauts (it is suggested that the astronauts remain unconscious until after they've arrived back on Earth), but in that case it seems like the wives' would ask, "How the heck do you get them back in the spacecraft when they're unconscious and how do you get them back to Earth?" But they're concerned that their husbands were alone for two minutes. Are we supposed to believe that it's potentially fatal or at least that they'd potentially go insane if no one from NASA talked to them for two minutes? I can't believe that astronauts have non-stop chitchat with NASA anyway. I bet there are lots of stretches where they don't know, in lieu of an alarm, if they're really linked up with home for even five minutes! Oh, the horror! It's not that I must have believability in a film with respect to the actual world. But I at least need the script to have internal consistency, or I'm thrown out of the story. The above boots you out of the story on a rocket, and it takes some time to recover. Of course, Ravich needed to stress the two minutes, because that is all that's important later. But this isn't the way to do it; it's just bad scriptwriting. Those are the negative aspects, serious as they are. Let me tell you what's worthwhile about The Astronaut's Wife. First, there's the grand arc of the story, which just needed a rewrite or two. Not only is the astronaut ordeal interesting literally, but it's easy to read the majority of The Astronaut's Wife as psychological horror, with various characters slowly losing their grip on sanity (at least you can read it this way until the end of the abortion pill scene). But Ravich probably isn't the person to rewrite the script. Based on this film, his real strength is direction. 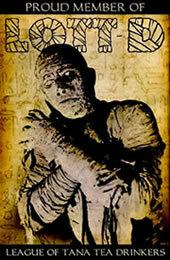 Despite the shortcomings of the material on close inspection, he manages to create genuine scares. Most of them occur when Spencer suddenly appears, surprising his wife. These aren't the "false scares" many fans hate, because at least through Jillian's eyes, Spencer is under increasing suspicion. One of the best scary segments is the warehouse sequence, which partially rely on clever use of sound-when the lights go out, we hear creepy, "Satanic-film whispering" in the background. That brings us to two other excellent aspects. Much of the impact that the film does have rests on the unusual sound effects (and a great score) that accompany common actions. This is also a subtler example of Ravich's real strength, his propensity towards surrealism. I suspect he may desire to become the new Argento, but his employers won't let him go all the way. The surreal aspects, such as the apartment waterfall, the sci-fi tunnel effects, the subway sequence, the alien barreling through space p.o.v. shots, and the hospital patient p.o.v., not to mention the brilliant overhead tracking shots, the elevator cam (and the symbolic face-off the scene provides), are all incredible. Perhaps if he could drop pretensions to linear storytelling and completely self-indulge in surrealism, he'd have something close to a masterpiece.